I recently went shopping and here are some of my wares. I do love a good shop, especially the ones where you can pick up a bargain or two. The first of my picks is my coat. I only bought it today, so I thought I’d quickly blog about it, so that my readers (if you can find one) can grab this too. The coat is from Monsoon and I have been looking for a coat like this for ages. I have seen IntheFrow wearing similar ones. This coat is grey, sleek and stylish. The price started from £149, then went down to £74. It feels so good to finally get what I was wishing for and envisaged in my head. So you aren’t surprised that I love it! 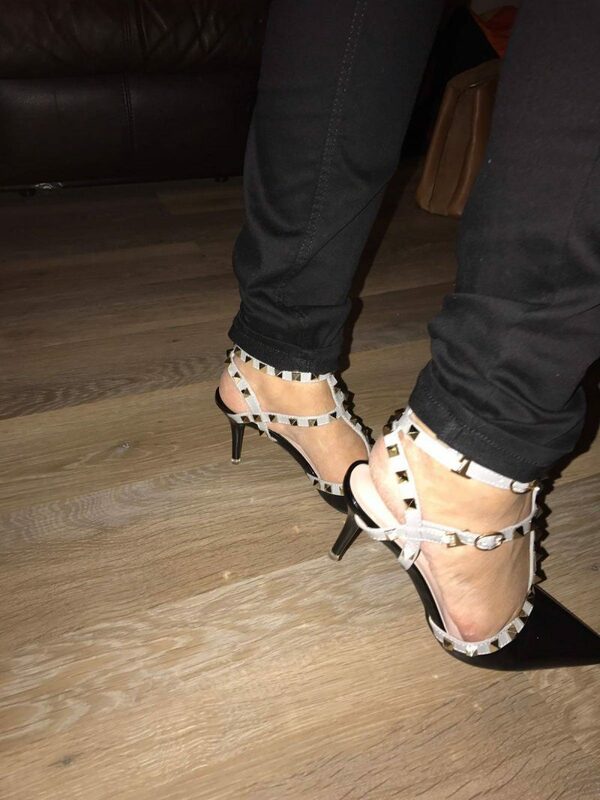 I also ordered some awesome shoes, Valentine Rock Stud, dupes from Zaful. The service was good and my shoes came in a matter of weeks. I really like these, can’t wait to style them and wear them on a special occasion. The trousers I am wearing are skinny jeans from H&M. Really black, but I wonder how long this will last. The ones I had from TopShop were expensive and faded, but as my husband says this is a style in itself. The last of my picks is my bag (not pictured). I bought it from House of Fraser and what I liked about it was the fact that it had lots of compartments. It is always also great when you can slip in your phone and don’t have to struggle with a bag with a flap. (Yes, I bought one of those, and it was lovely, but my sister wanted it, so I gave it to her. This bag is very roomy and can house lots of treasures. A good sized bag, so no need to buy a 5p bag and save the environment. I hope you like my haul. Have you recently bought anything and loved it so much? Those shoes really caught me eye! I bought a similar pair from Dune last year and I love them! Love your coat and jeans also, great styling Afshan!